The goal of our repair services is to resolve your problems as quickly as possible and prevent unnecessary hazards from developing. When you call us, we'll inspect your system, troubleshoot the problems you're having and present you with the fastest resolution possible. Has Your Cable Fallen Off The Drum? The huge amount of energy released when a spring breaks can push the cable off the drum. If this happens to you, we can replace the broken spring with a new one that's big enough to match your door’s weight and re-adjust your cable. The next step involves putting cable back to its normal position. If it has suffered damage, we can also replace it if necessary. If your panels are simply in need a bit of TLC, we can seal any holes; with several coats of paint, the door may look just like new. If you have a steel door, our advice is not to underestimate signs of rust. Applying rust remover is just the first step – for proper protection, we recommend formulated exterior-grade paint. If a panel has been completely destroyed, we can replace it with a matching one quickly and efficiently. If your opener is making strange noises and doesn’t open the door, it means the motor unit’s main gear or opener may be failing or broken. Your main gear plays a crucial role as it transfers power from the motor to the drive of the opener system. Worry not, as our technicians can identify what the problem is and fix it for you. If your malfunctions or damage are serious, it may be that a new installation is necessary. Our technicians can look after this for you and ensure each component of your system is setup and functions as it should. We always recommend periodic checkups of your system with a professional. They'll check there aren't any problems waiting to take you by surprise and ensure that any components which have become a little out of balance or worn won't evolve into bigger problems later on. Count on our local experts at Garage Door Repair Waxahachie or all your related needs, just call us to make an appointment, we'll be glad to hear from you. Our company takes great pride in being able to help every local homeowner in need. Whether your garage door is refusing to open or you're looking to get a completely new system installed, we're the team for the job. Take a look at our website to learn what else we can do for you today. Our technician will contact you before arriving. Until then, feel free to browse our website! 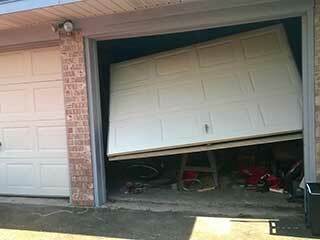 Garage Door Repair Waxahachie is at your service!